This is a photo of my FIRST Violet. 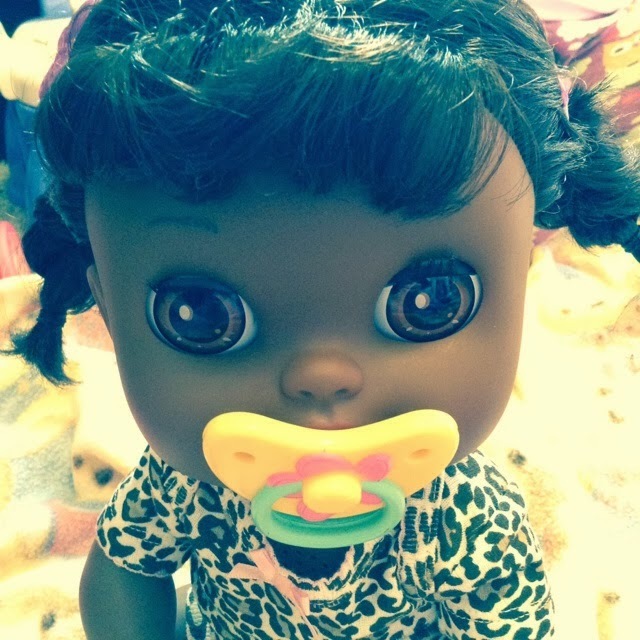 My original Baby Alive Real Surprises Baby Doll. She was really sweet. I wish I still had her. I do have another Violet just like her, now, but we do not use our Real Surprises Baby Alive dolls much, for fear that they will break. Here is my original Violet in our purple car seat. She was playing with a rattle hanging from the handle on her seat. I love how her eyes are half opened. It makes her seem a little sleepy. Notice she is wearing the BONUS Dress and Vest that came in the bonus pack of the Baby Alive Real Surprises Doll at Walmart during the Christmas Season. She is also wearing little black patent shoes that came from Walmart. 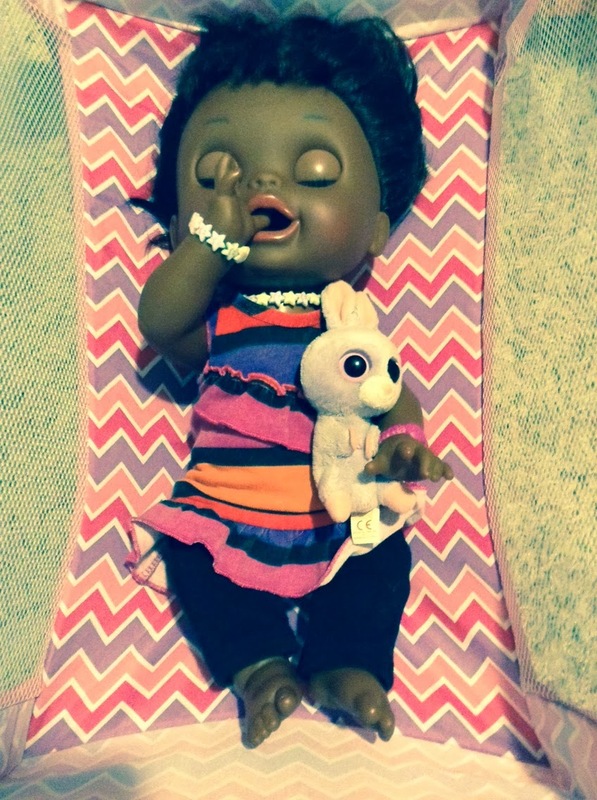 They are made for the My Life As dolls from Walmart, but they fit her perfectly. Isn't she so sweet. Look at her here holding her little stuffed bunny. She looks so sleepy and cute with her little pacifier that she came with. Sadly, however, after feeding my original Violet doll a LOT, she stopped working. 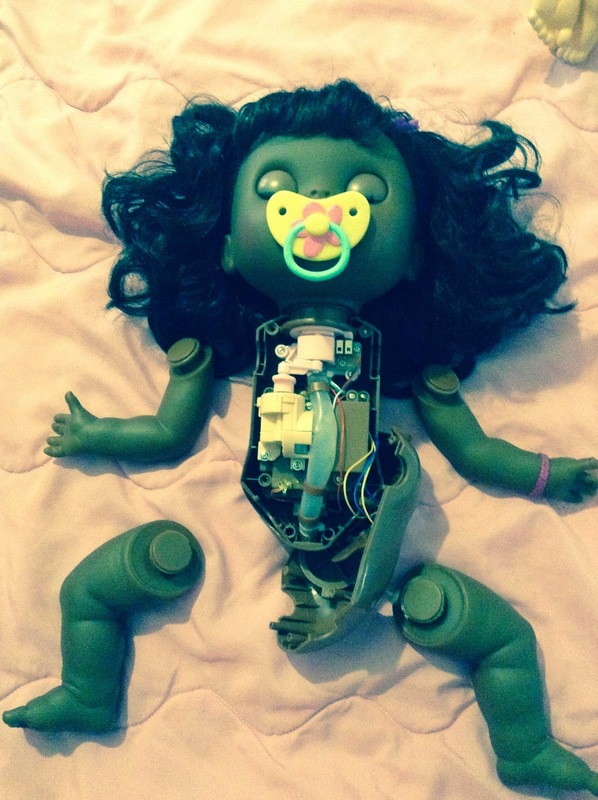 I tried taking her apart to fix her, but it was hopeless. She is such a cute baby, but after going through several Baby Alive Real Surprises Dolls, we figured out that her pipe somehow gets loose inside her, which allows liquids to leak on her electronic parts. This is why we only feed our Real Surprises dolls rarely. We do they they are so sweet, but do not want them to break. 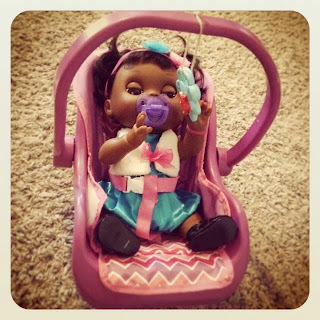 Overall, the Baby Alive Real Surprises dolls are SO cute. I love how she is a little sassy and teases and turns her head when we try to feed her. But she does break easily, so anyone looking for this Baby Alive doll needs to beware that she may not be able to talk if you feed her too much. All that said, however, this is an adorable little Baby Alive doll. She doesn't have a soft face, but her head turns at the neck and her eyes close when she is laid down, which makes her able to sleep or be awake. 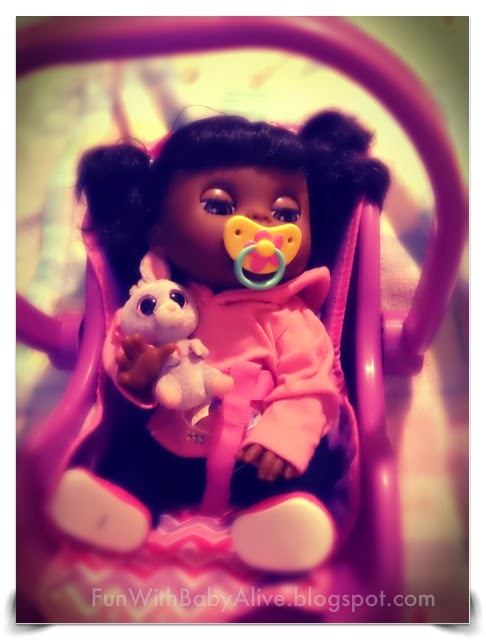 Do you have this doll? Does it still work? Let us know. I would love to hear if anyone has a success story of keeping her working if they feed her very often. Also, who loves the food packet dolls the best? I know many people prefer the play doh eating dolls, but we often hear that people are really missing the food packet dolls, and wish Hasbro would come out with a new food packet eating baby. What do you think?